Have a question about this item? Ask here. Pricing, availability, lead times & questions not pertaining to this specific product will NOT answered through this module. Use the Contact Us form for general questions. Review must pertain to the product itself. Please complete the fields below to send an email to a friend or co-worker. A link to this product will be sent to the recipients email. 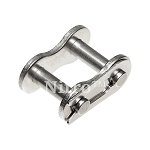 Link Plate Height (h2): 0.709"
Link Plate Thickness (T): 0.094"
#304 Stainless steel roller chain is commonly used in high corrosive areas. 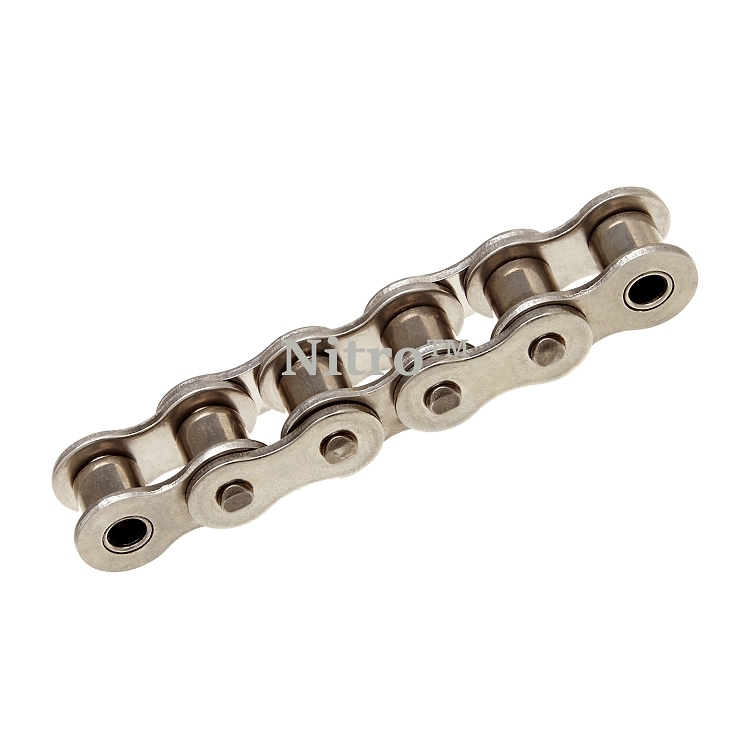 This is a good quality SS chain that we use in a highly corrosive environment. I would recommend this chain to anyone. Maintenance and lubrication is crucial in the overall performance and life span of roller chain. Proper lubrication will reduce abrasion, chain wear, friction, noise and keep chains running cooler at higher RPM's. 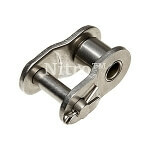 You can download the Nitro Roller Chain Care below. RollerChain4Less Copyright 2019 All Rights Reserved.